Ex Michael Schumacher 1992 Benetton B192 Formula 1 car to be exhibited at Motors By The Sea Festival on Sunday 16thSeptember. 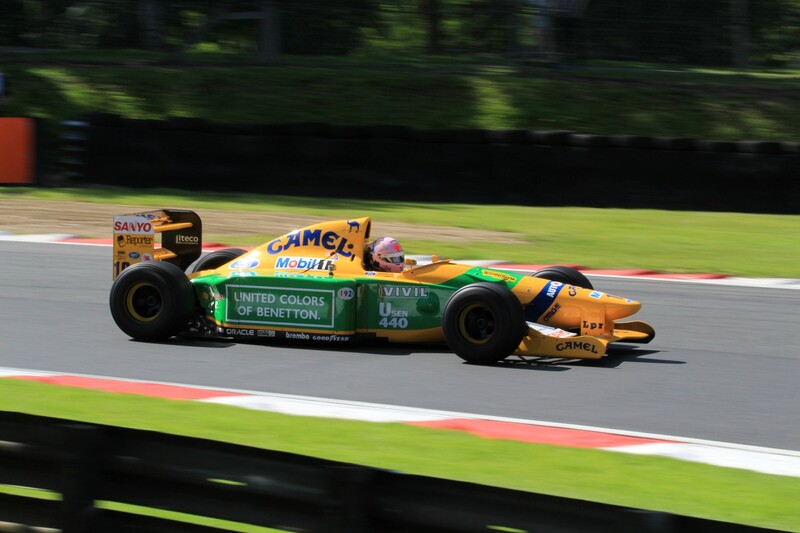 Lorina McLaughlin, one of the UK’s most successful female drivers, who currently drives the ex Michael Schumacher 1992 Benetton B192 Formula 1 car is bringing it to Bournemouth to exhibit at the Motors By The Sea Festival. Lorina’s Benetton will be displayed at Boscombe Precinct for one day of the festival, on Sunday 16th September. Driving Formula 1 cars both in the UK and Europe, Lorina is a regular fixture at the big historic motorsport events including the hillclimb at the Goodwood Festival of Speed where she has won the Ladies Award no less than seven times so far. She is certainly the only female who has driven so many different F1 cars throughout her career including James Hunt’s Marlboro McLaren M23, Denny Hulme’s Yardley McLaren M19, Arrows A9 Turbo, Arrows A10 Turbo, Toleman Benetton, Osella FA1D and of course her own current car the ex-Michael Schumacher Benetton B192. During her career, she has won numerous races, held lap records and has been lucky enough to have raced twice at the Historic Monaco race in her ex-James Hunt Marlboro McLaren coming 8th out of 30. She came 4th in both the Pau Historique Grand Prix and was just pipped to a podium place in the Historic F1 race at the French Grand Prix at Magny Cours. Currently, Lorina takes part in the UK and in Europe mainly driving in F1 Demonstration events in the Benetton which she organizes with her husband David for THE FORCE – The Historic European Formula One Race Car Entrants. The inaugural Motors By The Sea Festival is coming to town from 14th – 16th September and promises to deliver a fantastic spectacle for car enthusiasts, fun for the local community and families and to promote Boscombe’s lively and bohemian atmosphere. The FREE festival brings an eclectic mix of events, workshops, exhibitors and classic and special vehicles to town!